More than one thousand Canberra houses affected by ‘Mr Fluffy’ loose fill asbestos insulation will be bought and demolished by the ACT Government following an in principle agreement with the Commonwealth Government, Chief Minister Katy Gallagher announced today. The Commonwealth will offer to provide the ACT with a $1 billion concessional loan towards the cost of the program. The Chief Minister also released the report by the Asbestos Response Taskforce on the Long Term Management of Loose Fill Asbestos Insulation in Canberra Homes, which recommends the demolition of these homes as the only enduring solution. “It is a clear recommendation from the asbestos taskforce report that the only way to solve the Mr Fluffy saga once and for all is to demolish affected houses. For Mr Fluffy homeowners, we believe this program will offer a fair and flexible solution which will remove the risk of loose fill asbestos not only to homeowners and tenants, but to the broader community,” the Chief Minister said. “This is a significant undertaking. We are talking about the purchase and demolition of 1021 residential properties across many of Canberra’s established suburbs. “Financing this work will cost up to $1 billion, with an expected net cost in the hundreds of millions. Due to the magnitude of this program we have asked for the Commonwealth Government’s assistance to undertake this important work. “These negotiations have taken some time, which I know has been incredibly hard on the homeowners, but I am pleased to advise the Commonwealth has accepted the Taskforce advice and agreed to provide a loan to underwrite the buyback scheme. “Whilst the ACT Government did not get the assistance we had asked for, I thank Senator Eric Abetz and Commonwealth officials for their professional and compassionate approach to this issue. The Chief Minister said the buyback scheme had been developed by the Asbestos Response Taskforce to provide a fair outcome for owners of affected homes and, as far as possible, flexibility and information so homeowners could make informed choices. The Chief Minister said participation in the scheme was voluntary. Through the program houses will be valued as if they were not affected by loose fill asbestos. The Taskforce will work with homeowners wanting to remain in their houses on necessary medium term hazard reduction and risk management requirements, but long term habitation is not practicable or safe. Once houses are demolished and blocks of land remediated, blocks will be made available to be for re- sale, with the original homeowner given the first option to buy back the block for their own occupation. “We understand that many homeowners have indicated a preference to return to their block in the future. We have worked to balance this desire with mitigating the cost of this program to the rest of the community,” the Chief Minister said. The Chief Minister said community support throughout this program will be important and detail will be provided throughout the program to ensure all residents are aware of activity and progress. “The Taskforce will also be arranging a number of community forums and drop-in sessions to allow questions on the technical elements of the program to be discussed in greater detail,” the Chief Minister concluded. Details of how the demolition and buyback scheme will work will be released next week with a view to finalising prior to the scheme becoming operational in January next year. In the meantime emergency assistance continues to be available through the taskforce. Will demolition of the houses be inside bubbles, like they did in the 80s when they took it out of ceilings? I’ve noticed on TV lately, footage of houses being bulldozed in the open with a garden hose being sprayed around for effect. Surely if the houses are too dangerous for people to live in, bulldozing the houses without containment will pose a far greater risk. And how will the rubble be transported safely to a landfill and how deep will it be covered? Where is the evidence of this? It’s getting a bit like the so-called anthropogenic climate change saga with massive media beat-ups and dire predictions? Those dire predictions may well be correct, and you’ve demonstrated your thorough lack of understanding of the science behind climate change on multiple occasions. Comparing your views on the health concerns of loose-fill asbestos to that of climate change science doesn’t add much weight to your argument. My understanding of your version of climate change is that it is a complete fraud. You can’t even supply me with a photo of sea levels that have actually risen. It would be in bad taste to also ask for the names of two people who have died as a result of being residents in Mr Fluffy homes. Forget variables, means, and tidal gauges. What we need is pretty piccies and lo, here’s a one for you. It clearly shows the sea level is low in one shot and high in the other. We could even swap the photos so it shows the sea level is dropping, for a laugh. Notice how comment has ceased? Could be the “calm before the storm” (or is it now “storms” as climate change is supposed to be increasing extreme weather events). I am glad you mentioned Captain Cook because he made an entry in his journal while he was exploring the east coast of Australia when he was Lt.Cook about large fires burning inland. These were probably caused by lightning or aboriginals. The same fires today are blamed on climate change. Other than that, I am not sure why Captain Cook got dragged into this. The climate change website you have referred me to is nothing but paid opinion. Can’t you see that the people who write these reports and predictions are actually paid to do this? If the same government funding and resources were given to people with my opinions the debate would be over very quickly. I’m with you, dung. Forget variables, means, and tidal gauges. If one good thing can come out of the Mr Fluffy mess, please let it be that light rail is now given the flick and those funds be diverted to cover the Commonwealth shortfall. There is no way known that we can fund both of these huge financial commitments simultaneously over the next 10 years! As I understand it, the Light Rail is one of the initiatives/stimulus things that has already been “exempted” from impact of the Mr Fluffy fall out/cost to be met by the ACT Gov’t. Therefore, Light Rail it will go ahead, regardless of finding the $ for Mr Fluffy compo. I wonder how Capital Metro will handle the excavation and re-location of the asbestos-cement water pipes and other nasties it finds. 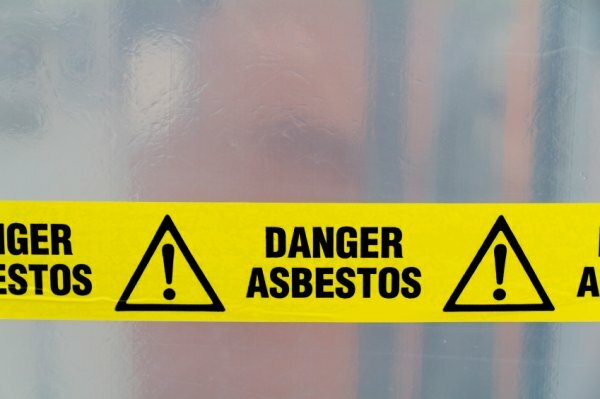 Do you not know the difference between friable and no friable asbestos? Looking at your comments here I would say not. Is it important or are you just signalling you are about to give a detailed analysis which won’t answer my question?. Of course it is important otherwise I wouldn’t have asked. You are the one carping on about asbestos pipes and sheeting yet clearly don’t know the difference between friable and non friable asbestos. Non friable is bound in something else like a resin, examples would be sheeting. This is not actually dangerous until you break or drill into it. Friable on the other hand is loose, like Mr Fluffy insulation and can easily become airborne. The latter is significantly more dangerous than non friable. chewy14 – why should these people be “partly responsible for the clean up”. I suspect you and many others are confusing the risk of loose asbestos fibres with bonded asbestos products. The Government has been negligent in not informing homeowners of the risks and/or presence of fibres. And in any event it would seem that, irrespective of any buyback most homeowners and tenants have copped a mammoth financial burden as I have outlined before. No, I know the difference between these types of asbestos. But can you please tell me how the local government is wholly responsible for this cleanup and the owners of the houses not responsible at all? Surely the buyer of a property is responsible for inspection of their property before they purchase it and take over responsibility for the property once they purchase it. Why exactly is it the local government’s responsibility for this issue considering that the federal government took responsibility back in 1988 and organised the original clean up work? Where does the government’s liability stop and the householders liability begin? I’m a Mr Fluffy owner and know many other people who are, too. Dungfungas and Chewy14: we bought our house on the understanding that Mr Fluffy had been removed from our property in the 80’s and it was safe. However, we had the house inspected, as all home-buyers should, and were told the property was all fine. We extended out home last year with the extension approved by ACTPLA – this included cutting into existing walls, roof etc. ACTPLA approved all this and obviously didn’t look at the housing files as the Gov’t knew about the ‘new’ Mr Fluffy issue and which houses were involved. No-one bothered to tell us. Our builder also hired a subcontractor who should have gone through our house file. If he’d done his job properly, he’d have seen it was a fluffy house and put in place an Asbestos Management Plan. At any stage had these ‘paid-for’ checks and balances disclosed that there may be an issue, we’d have decided not to extend (or go into the related debt). Like all other home owners that we know, we did all we can. We were let down by a few people, especially the Gov’t. We’re not asking for one more cent more than we’re entitled to, but we shouldn’t be left out of pocket – especially to the tune of 10’s of thousands of dollars. BTW: I know a family who have gone bankrupt over this. Will this apply to those who knowingly bought a Mr Fluffy house? First, I’ve read a bit more about the proposal. This “acquisition by stealth” is a new realm and could be applied in all manner of ways. Re the fluffy situation, owners have six months to sign up or cop the new stringent rules, at great personal expense and which sound like the houses will be unlivable anyway. Those that say “bad luck” remember that this idea could be applied to your home for some other reason in the future. Sandman – I highly doubt anyone “got a good deal” when they purchased their house. Anyone who purchased their house after the last removal program at best might have had a single B5? piece of paper included in their purchase documents saying asbestos had been removed and the house was clear to live in. As for knockdown rebuilds, sure, some people might have been in a financial position and emotionally ready to knock their house down. If these people want to stay on their block they will still have to fund the demolition themselves. If they opt for the buyback they will lose their block, they might get the chance to buy half of it back eventually – which might take five years – and ACT housing will get first dibs on the other half. dungfungus – Homeowners who don’t accept the buyback and decide to stay in their homes will be not able to subdivide their block unless they already live in a non RZ1 zone which permits them to do that. As for your other comments, the fact that you are still comparing this situation with a house with bonded asbestos that you once lived in (as well as trying to compare this disaster to a poorly sited house) is an example of your ignorance. Either that or you are trolling – at great expense and psychological risk to fluffy owners who might be reading posts on this site. Masquara – You are right! The situation in Queanbeyan and other areas is terrible. I’m sure that every fluffy owner would support compensation for them too. Certainly the FORAG website and facebook page would suggest this. But would you like the ACT Government to fund this also? Ironically, I’m not condoning it but many fluffy owners outside the ACT still might be able to sell their house without disclosing any contamination if they can claim they didn’t know about it or thought it had been safely removed previously. This arrangement seems to be what many posters here seem to be condoning. I think people need to realise this is not a handful of “lucky” people. This is over 1000 homes! Possibly the equivalent of a quarter of a suburb! Most of these people have had a massive financial burden imposed on them this year. Stop quoting your mates and relatives or the bloke who was going to knock their house down anyway, who according to you have had a windfall. Show some compassion for the majority of extremely traumatised families. Before you call me ignorant again please read what I actually say. Are you going to call people who share my opinions ignorant as well? dungfungus – I am a taxpayer too and don’t like to see money wasted. However, I have to disagree on a lot of your comments about this debacle. It isn’t just bad luck for the home owners that their house and the contents have to be forfeit due to something that happened decades ago. It is a tragedy. If someone came to your front door right now and told you that the whatsamadoovit installed on the roof has poisoned the ceilings and now you have to vacate the premises, leaving everything behind? Would you simply shrug it off and say “Oh well, that’s life for ya.”? Wouldn’t you be praying that someone would come up with something in the way of compensation for ruining your life through no fault of your own? How could you possibly know what a “whatsamadoovit” is when the pre-purchase inspection report cleared the house safe to live in before you bought it? I am happy to pay a fair share to help out a small percentage of our population in a very tricky but traumatic situation. It’s called caring for thy neighbor. There won’t be any guarantees that one fiber won’t be left, or even a hundred fibers, or a thousand. It is a risk management thing. It only takes one fiber to penetrate your lung lining or your stomach wall and the cancer begins, so believe it when they say the stuff is dangerous. As for your own home inspection, have you done the asbestos awareness course that is now mandatory for all people working on or around A.C.T houses and buildings? If not, how do you know you don’t have asbestos in your ceiling, or in the eaves, or in the bathroom? If the house is built before 1980, the chances are that it has some form of the stuff somewhere but most people do not know that. Prior to doing the course a few months ago, I had know idea what it looked like and I may have even crawled through the stuff without realizing. How could people have known, people who may have lived in these houses for many, many years? When has that happened? If it is a normal house fire, I’m sure nobody would step in to give them compo for being uninsured. Canberra bushfires, yes, but that wasn’t a normal house fire was it? That was a major disaster for which the government has powers in place to divert funds to assist in emergency relief and such. If you ask some of the people who suffered floods in our N.S.W – Q.L.D border area some years ago if they received any compensation for being uninsured, or even if they were insured, they would say they didn’t see a cent. I get where your coming from, but to err is human and to aid someone in trouble is also human. You would make a great finance minister some day. Unpopular, but great fiscally. I once applied for a job with ACT Housing as a housing manager. My statement that I had no reservations about evicting rent defaulters was not well received as apparently, that is not the way they account for ratepayers money. I’m surprised to say I partly agree with Dungfungus on this issue. The owners of these Fluffy homes should definitely be partly responsible for the clean up as everyone who buys a house knows that there are risks of dangerous materials and shonky workmanship to their house when buying. It shouldn’t be up to other rate payers to solely subsidise them for this mistake. I think a fair compromise would be the government allowing residents to stay in the homes at their own risk (which is most likely not that high) or else offering to buy and demolish the houses for say 90% of the market value. That way the government helps and the owners are still partly responsible. This is one of those many opinion issues that divide communities and acknowledging the plight of the Mr Fluffy home owners amongst us by assisting them financially up to a limit as you have suggested is a compromise I would be comfortable with. Of course, the “downstream” issues I have alluded to elsewhere on this thread (especially how the building materials and top soil is are disposed of) have to be addressed as part of the package. Indeed, they may have already been dealt with with but they haven’t been in the headlines. To follow on from my previous musings, after a bit of searching I found several stories (both this year) relating to sale and demolition. One family spent $50,000 to demolish and remediate their site, not $400,000. Yes, they do need a build a new house now but that house will be worth more than their 50 year old one was. Another couple sold their house for a $50,000 loss compared to their purchase price 4 years ago. While $50,000 is a significant sum it’s less than 10% of the value and not outside the range that could be possible just through standard market fluctuation. When you think about it, this bad luck for homeowners has happened in the best possible city in the country. Anywhere else and most owners would probably not have had the value rise that a Canberra house will. They may not be as financially ahed as they would have been without a fluffy house but they’re surely in a better position than they would be in another area. They need to thank their lucky stars they aren’t in Queanbo. There are no nannies with cotton wool across the border. The asbestos in the NSW houses is either less potent than the stuff in the ACT or the home owners are more inured to coping with the situation, ongoing. I note in today’s CT there is a confident prediction that most blocks of land leases purchased by the government will be subdivided to allow two (or more?) dwellings to be built. This is to maximise the clawback. I am unaware if this option is available to the existing Mr Fluffy home owners and if it is will they have to pay a betterment type tax (which obviously the government won’t collect from itself)?. a huge land fill problem which will be exacerbated by the special requirements of disposing of asbestos. I am assuming the remains of the houses and soil will end up in the new Mugga Lane tip (lucky they have that new part ready and what good timing that was) so what precautions are in place to prevent asbestos fibres being carried from the tip by air currents to the suburbs of Fadden, Macarthur and Chisolm to the South? Canberra could create another Bhopal. How quickly will the new tip be filled? – 1000 houses and top soil creates a lot of volume.